Jesus demonstrated how to be a wholly integrated, multifaceted human being. In the typical ways men are men, Jesus was a man. He worked in his earthly dad’s carpenter shop, possibly building carts and furniture and other things common to day-to-day life at that time. Wouldn’t it be a treat to have something built by Jesus, even if it was just a simple wooden trinket? Just to know the hands of the Carpenter shaped it to be what he wanted it to be would make it a treasure too valuable to imagine. Amazingly, he has given us exactly that—something formed by the hands of the Master. He has given us us. We are a “treasure in an earthen vessel” (2 Corinthians 4:7). And Jesus fixed stuff. That’s what some men are inclined to do. Granted, some of our solutions complicate the matter, but never mind that. We mean well. Jesus demonstrated his strength by fixing things that needed to be fixed. For instance, he once cleared the temple with a whip he made when things had gone off track from the will of his Father. Jesus also demonstrated characteristics we typically attribute to women. A couple of days after his friend Lazarus died, Jesus showed up to be with Lazarus’ sisters, Martha and Mary. Their hearts were broken, and they expressed the “if only” we can all relate to. Mary fell at Jesus’ feet… “Lord, if only you had been here, my brother would not have died” (John 11:32). She obviously had faith to believe that if Jesus had been there when he was supposed to be there, her brother would still be alive. What she did not yet realize was that Jesus was not limited to healing just the living. Jesus listened carefully and compassionately to his friends’ sorrow. I imagine his eyes were studying their eyes as sadness poured out in their tears. We know he took them seriously because he was moved to do something about what he felt. That’s what real compassion does—it motivates us to do something in response to what we feel. If we had the power to fix the situation, most of us guys would have skipped what Jesus did next. We like to go straight to the solution, blow right past the emotion. But he didn’t blow past the emotion. He wept. As I said, many of us guys would have deleted that scene from the story. But in order for men to be holy the way we are designed to be holy, we need to become whole men. Jesus set the example for what a real man is like. A real man is not only concerned with fixing the situation, but he also takes time to feel the emotional impact of his friends’ sadness. 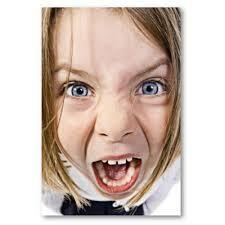 The uproar of men and women proclaiming their “rights” is reverberating throughout our nation. I can relate to the frustration of being told what I am allowed–or not allowed–to do, either legally or morally speaking. While I cannot relate to a desire to marry someone who is equipped the same way I am, genitally speaking, I remember a time when I thought the “one wife” rule was too restrictive. Looking back on that time in my life, I now realize I was simply enticed by the lust of my own flesh-stained immaturity. At this time in my life, the “one wife” rule makes perfect sense to me, and it makes perfect sense to Rose, too. There are at least a couple of things that come to my mind when I consider the whole “rights” uproar. The first is that not everyone believes the Bible is the authoritative Word of God. For these folks, I can easily understand why being told I must conform to some “antiquated” teaching to which I do not subscribe would be annoying, if not infuriating. The second thing that comes to mind is that for those of us who do claim to believe the teaching in the Bible is true, we do not think of it as being relevant to us in a personal way if it conflicts with our desires. In other words, our desires trump God’s truth. I believe this is true because of my own struggle at times to allow God’s truth to trump my desires. As Christ followers, our rights become secondary to what is right from God’s perspective. In fact, we need seriously to question whether or not we still have any rights at all. Based on God’s Word, “I have been crucified with Christ, and it is no longer I who live, but Christ who lives in me” (Galatians 2:20). So, in essence, I’m a dead man. What rights does a dead man have? When I look at situations from God’s vantage point, I learn that my most godly right is the right to waive my rights. Or possibly that should read “the right to waive my phantom rights.” The default mode of my second nature is to stake my claim, defend my ground, and set the world straight, but when I am in the flow of God’s way, these things no longer make sense. I encourage my brothers and sisters who believe the Bible is God’s written Word to stand steadily on the Rock. Now, more than ever, we must surrender the way that might seem right to us–from the perspective of popular opinion–in exchange for God’s unwavering design for marriage. And may we resist our natural inclination to judge those who believe differently than we do. God grant us wisdom to be a conduit of his grace in our embattled world. What if we craved God more than we crave the appetites of our flesh? What if we were obsessed with knowing God more than we are obsessed with our personal entertainment and comfort? Deep within the heart of many people is a nagging restlessness, a relentless desire for something more than the life they’re living. For some, it’s little more than an occasional distraction, a subtle drone in the background of their mind. For others, it is a relentless hunger that clamors for fulfillment. While the world around us radiates the splendor of a magnificent Creator, the world within us bears little resemblance to anything splendorous. Although we were created to reflect the image of God, we humans are the only creatures on earth that struggle to be what we were designed to be. 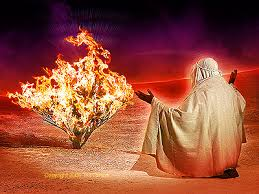 Holy Libido will ignite hope within you, fanning into flame your longing for a passionate relationship with God. Holy Libido will infuse you with the courage to expose—and abandon—the lies of the world. 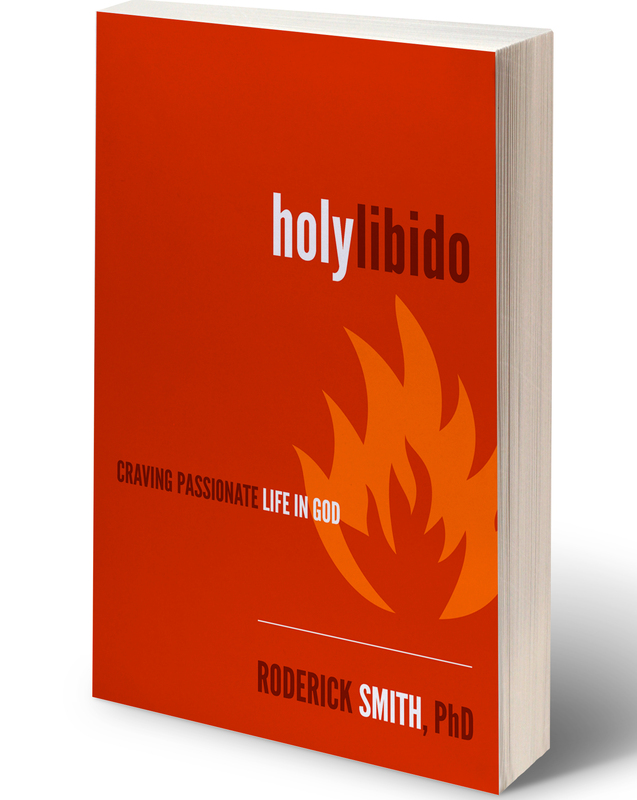 Holy Libido will compel you to rediscover the original design of humanity—to live life as God’s masterpiece. Accept this rousing invitation to experience the passionate flow of God’s Spirit in your life. Invite God to release you from the encumbrances that have accumulated along your journey. And discover personally what it means to reflect a bit of the splendor of our majestic Creator.